Description: Die cut handle bag is essentially a polyethylene bag with a handle punched out near the top and the handles are often 9-11% of bag weight. 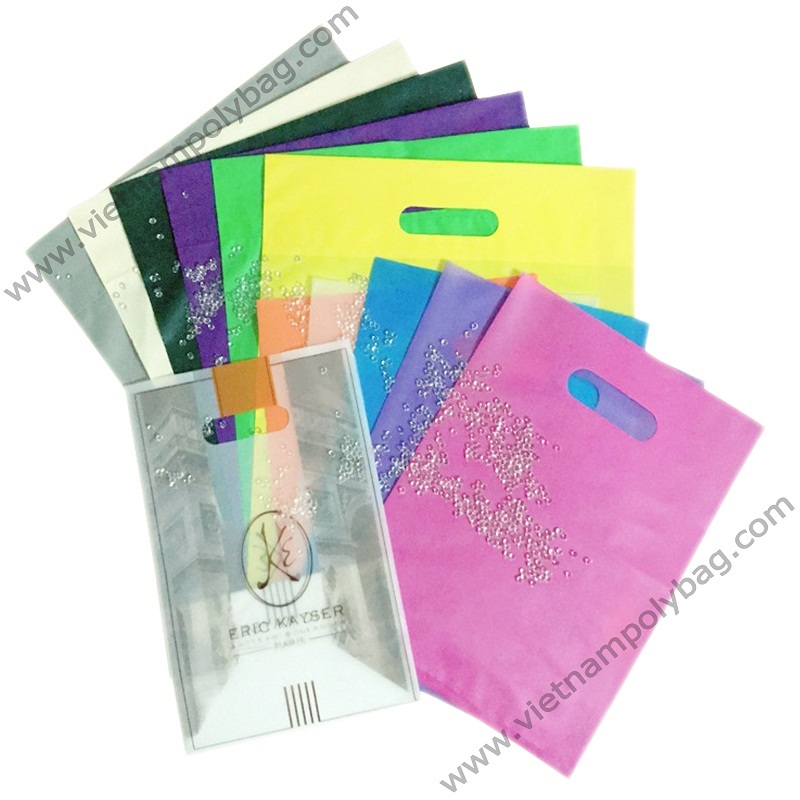 Advantage: can be produced easily so die cut handle bags are offered at cheap price. Die cut handle bags are luxurious, strong and suited to carrying heavy merchandise. They also have side gussets and bottom gusset to help them get extra storage space. They can be reinforced with an inverted top edge or handle reinforcement for added durability.